What’s New at Fit Mom TV LIVE! Every workout is a Full Body Blast! Kiana’s eGym is an award winning, #1 rated, subscription-based online fitness training service used by people of all fitness levels worldwide, wellness organizations, health clubs and fitness professionals and educational institutions. 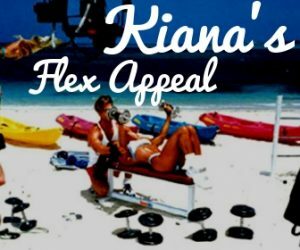 All memberships include free access to Kiana’s LIVE fitness classes & workouts, healthy recipes, exercise tutorials & 100’s of videos. No contracts. Cancel anytime. Kiana’s eGym is setting a new precedence in the fitness world. Kiana demonstrates moves for all fitness levels at the beginning of each workout. Log in and get fit with Kiana, wherever in the world you live. When it comes to getting into the best shape and staying in the best shape, consistency is key.” says Kiana. All ages, all fitness levels can do this! How? Kiana explains exercise modifications before each workout so that Members can choose the version that best suits them. Follow along using a fitness mat, water bottle, free weights & your own body weight. GET THE FIT BODY YOU WANT! IMPROVE YOUR HEALTH. GET STARTED TODAY! Be fit & healthy for YOU. For your KIDS. For you LIFE.